Charlotte's Helix is an international collaboration seeking to bring the AN25K genetics initiative to the UK, in honor of the eating disorder advocacy work of Charlotte Bevan. And guess who was invited to be the first ever person to give their DNA to this international genetics initiative...? Yup, it was ME! 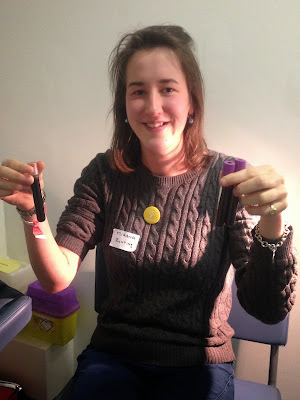 When the conference stopped for lunch on Friday, I was whisked off to a little room somewhere in the heart of the Maudsley hospital and I donated these three small test tubes of blood which will be sent off for testing as part of the project..
"Rolling up her sleeve for science, Miranda gives the first DNA sample for Charlotte's Helix!" 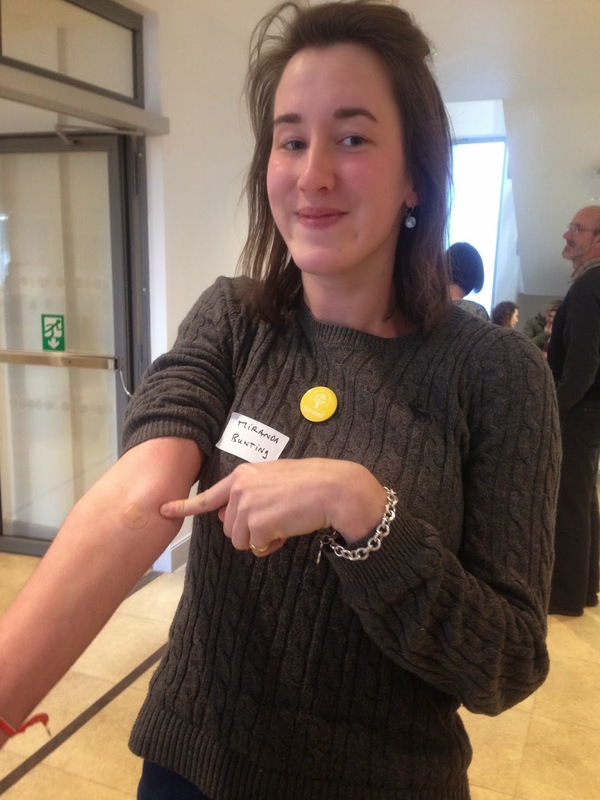 I never thought I would ever roll up my sleeve for Science, but then again, there are lots of things I have got involved with over the last few years that I never thought I would be able to be part of. Now all the Helix needs is some much needed funds to enable this project to continue - which reminds me, I must donate and I hope you might too! I'm so glad you were the first in the UK, Miranda. Right and fitting as a wonderful advocate and friend of Charlotte. It was Charlotte's dream to add the UK and we are doing it!!! !